This is the original GVP Impact (Series I) disk controller technology upgraded with an optional 2MB of 16-bit FastRAM expansion. It is based upon a 33C93/33C93A 8-bit SCSI controller that can transfer data to/from an onboard 16K SRAM buffer, which is then serviced by the CPU. The board has space to mount a 3.5" hard disk with a short 2-3" internal cable, and an external DB25 interface. SCSI bus termination resistor packs are soldered in. 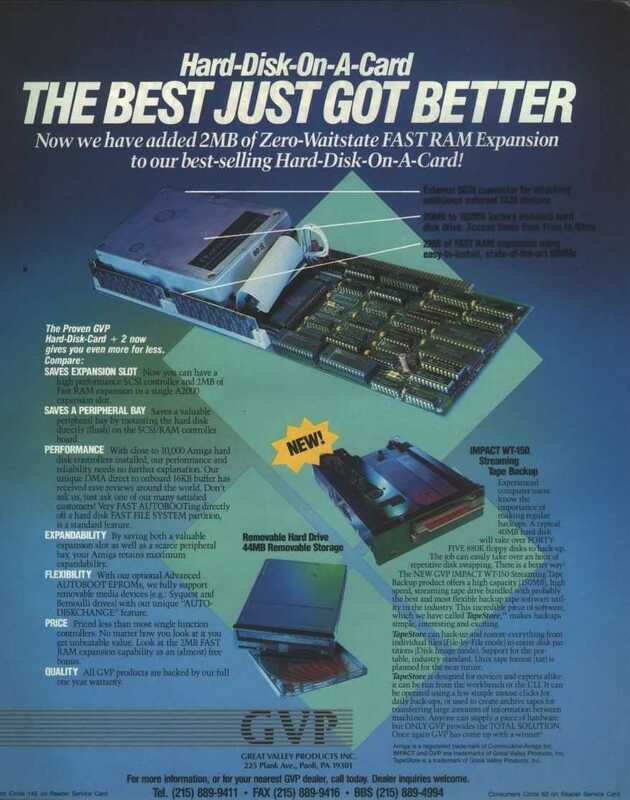 It supports 2x standard 30-Pin SIMM memory of 80ns or better for memory expansion. GVP 1.0, 2.0, and FastROM 3.x is supported for Autoboot. There are jumpers for Autoboot (ROM) disable, RAM Enable/Disable, and for HDD LED. All others jumpers are reserved.